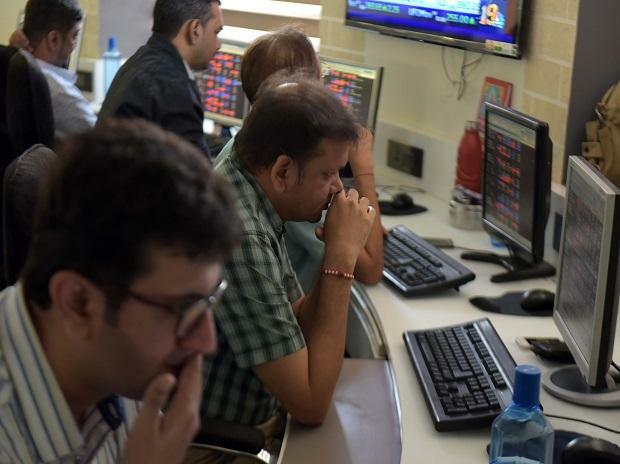 The benchmark indices Sensex and Nifty ended lower for the sixth consecutive session on Friday, their longest run of losses in over a year. On a weekly basis, both the indices tumbled 2 per cent. Nifty50: The index is trading below the lower rising trend line of ‘Rising channel pattern’, indicating a breakdown in the formation. It traded continuously in negative candles for seven sessions. The current candle reveals ‘Hammer’ formation, an indication of a reversal in the trend. A low of a long lower shadow implies that the selling pressure lead prices to fall deeper; however, recovery around the closing session shows buyers gaining the momentum. A revival in the trend cannot be ruled out till low of the candle - 10,620 is held as per the chart. The immediate support falls at 10,550, followed by strongest support at 10,460. It should witness buying as it gets closer to support levels indicated by the chart. On the other side, 10,800 – 10,900 will act as resistance range. In the previous week, the index scaled above significant resistance of 10,985 entering newer scales of trades. However, it failed to move higher on the absence of follow-up buying. The subsequent session has seen a gap down close, leading to more weakness towards 10,600 levels in the last week. The major technical indicators, Relative Strength Index (RSI) trades around 40 with negative crossover, Stochastic trades in oversold region and MACD (moving average convergence and divergence) is about to fall below zero line as per the daily chart. BSE Sensex: The overall trend for the index remains bullish as moving averages converge with strong positive sentiment for medium-term perspective. The current trend tests 100-day moving average (DMA) based at 35,626 levels. The entire week witnessed a negative trend as the index closed with red candles. Although, the index trades below the lower rising trend line of “Rising channel pattern”, the selling pressure has been subdued as index hold 100-DMA. A formation of “Hammer candle” reveals revival in trend till 35,510 is not broken decisively. The immediate resistance falls in the range of 36,000 – 36,200 levels.